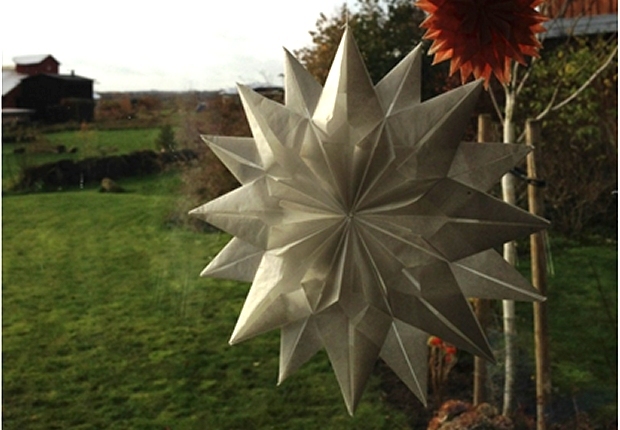 I made these stars out of paper. I made them because they are a perfect example of how beautiful geometry can be. When lights shines though them, you can see new forms and shapes. They remind me of how little I know of mathematics! Making things like this enables me to enjoy perfection! And then I think they look nice, of course!